Pick a date, Pick a jump & Reserve it!! Thank you for visiting our NEW website! Enjoy our new ONLINE RESERVATION system. Please call if you have any questions, need a custom package or if you do not see what you're looking for. 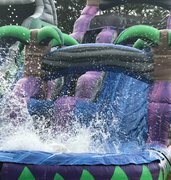 If your looking for bounce houses, watersides or other inflatables in Seneca,Clemson, Salem, Westminster, Walhalla, Anderson as well as Oconee, Pickens and Anderson Counties in South Carolina, Carolina Bounce has what your looking for. We have the best selection of watersides , bounce houses and games in our area! 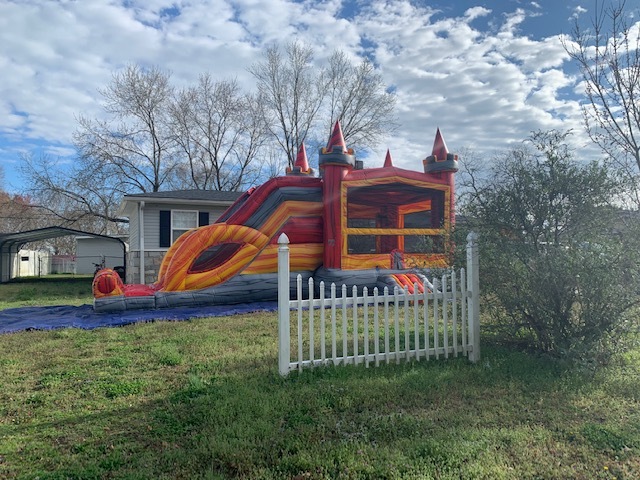 We have: Clemson bounce houses, Princess bounce houses, Pirate bounce houses, Sports bounce houses and more to fit your every wish. 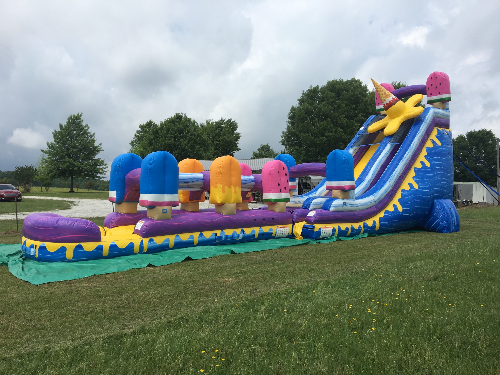 Carolina Bounce has themed water slides including an ice cream waterside, tropical water slide, blue crush waterslide, tsunami waterslide, lava rush water slide and the locally famous coconut falls water slide. 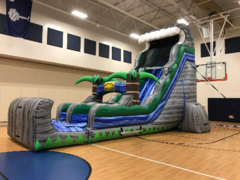 We also now have the 68 foot tropical paradise obstacle course, as well as a tropical obstacle course combo. 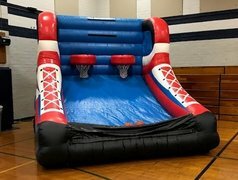 We can help you plan your next event or birthday party with inflatables. We also service, for a fee,: Greenville, Anderson, Starr, Easley, Iva, Travelers Rest, Pumpkintown, Sunset and also Toccoa, Lavonia, Eastanolee. Call for a delivery quote. We are locally owned and operated. 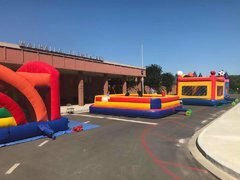 Carolina Bounce is an insured inflatables company. Our inflatables are cleaned and inspected regularly. Call us for clean, safe and enjoyable fun every time you book with us. We try and tailor to your needs. Have a special request? Call us, if we can we will help you make your event or party special. 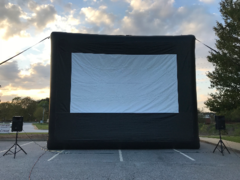 Planning a school, church, or corporate event or fundraiser? We are experts at adding fun, smiles, and memorable experiences to those events. 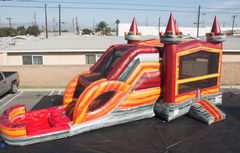 Whether you want inflatables, games, watersides, or a custom package of fun, we have you covered. Planning a birthday party? We can help with that too!